I have been reading about the Danish philosophy Hygge (pronounced hoo-ga) of comfort, togetherness and comfort. The way I understand it Hygge means to nest in your comfortable home enjoying your family and surroundings! A good blogger friend of mine, Jessica from The Entertaining House Blog, has written some great posts on this subject, HERE, HERE and HERE. 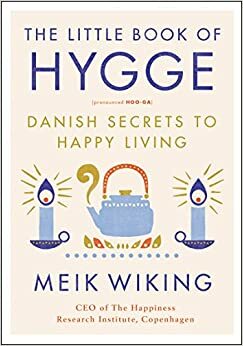 I recently read the book, The Little Book Of Hygge: Danish Secrets of Happy Living and I LOVED it!!! It talks all about taking pleasure in your surroundings and taking time to unplug and just ENJOY!!!! You have to read this book....and slow down your busy life or buy it for your bestie...TRUST ME! Click HERE for more information or to purchase!! !